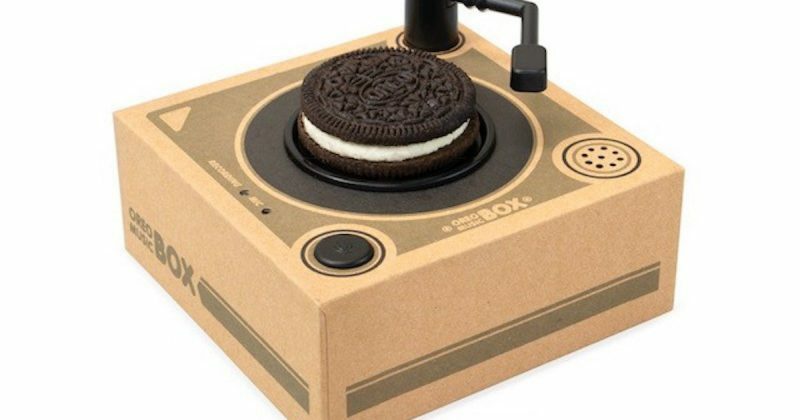 Oreo’s latest innovation is a miniature record player, that rather than spinning records to play music, spins Oreo cookies. As one eats more of the cookie, the device plays different songs and people can even record their voice to play back on it. “The idea itself is obviously super playful, so it’s definitely in the brand DNA of Oreo” says Jen Hull, growth platform lead for North America e-commerce at Mondelez International. The limited-edition music box will be promoted using social, digital and TV support featuring in the Lifetime movie “A Twist of Christmas” debuting on December 1st. The Oreo Music Box is available now in the US (sold only through Amazon) as a $19.99 gift pack that comes in a tin with White Fudge Oreos, regular Oreos and Oreo Thins.